Attracting a great talent is not easy and once you attract them you cannot retain them just like that. Great talents want much more than a handsome salary for their job. Because they are talented so they keep looking for several options. Higher salary will help to attract them initially but cannot keep them loyal to your organization. So, you need to make sure that your organization is offering enough to great talents to attract them and retain them. If you are looking for great talents and want to hire recruitment services in Delhi NCR then you should consult us for that. Meanwhile, here are some ways to attract and retain great talents by any organization. Great talents love to work for the leaders in the industry. New job seekers want to know where they are going to work and for whom. Even if your organization is not industry leader at the moment, the founders, promoter, senior executives, managers and other at authority position must be leading by examples to attract and retain great talents. They do their home-work before joining a company and so all the leadership position must have their house in order shown by their action. You must create an initial excitement for the candidate and then present them with exciting career growth. If your company is young then it may be even more challenging. You may not have put in an organizational structure in place for career path as it takes time and strategy but you can show them the potential of their growth and how they can get there then you can impress talents and retain them as well. You need to prove that they will be given right resources for their professional growth. We have our proven track record though when you look for recruitment services in Delhi NCR. Great talents want to work where creativity and problem solving approach is a daily thing. If the candidate is sold the fact that there is creative thinking involved in your culture, this creates excitement and makes them feel connected to your organization otherwise a boring job cannot attract or retain talent for long. Similarly if the candidate is shown that your organization work on problem solving approach for each situation then the new talent will find your organization a great place to learn and grow in their career. These two things are quite essential for the motivation of employees. Reward and recognition both need to be extrinsic and intrinsic. Publicly appreciating employee acts great for extrinsic recognition and extrinsic reward has to be in the form of bonus and other praise. Similarly intrinsic motivation is even more vital. Employee must feel connected. When they know they will be involved in important things and if they are given autonomy, freedom and opportunity for personal growth then it works well to boost their motivation to do well for the organization. Everybody loves to be part of a great team. It creates a sense of belonging. Team building has to be integral part of your work culture not a fabricated design. In every project or activity team oriented approach must be created and nurtured. Don’t think only big things require team work but as mentioned it should be part of the organization culture which means even small things like place where people sit, meetings, interaction with customer etc. matter equally. If you want to attract and retain great talents then you should love your people so that they love you back and give their 100% too and to get them you can avail our recruitment services in Delhi NCR. Taking a decision of change in career is not easy. You may not know whether it is your true calling, right move or you are just fed up of your current career situation. So, you need to think well before you finally take a call. Even though taking a call could be a long process but during this time you should prepare for what it would take to successfully change your career so that you make a strong start. However, you are not the only one who would do this as many before you have done it and many have succeeded as well. You can also follow some tips to successfully change your career. Sometime this thought may seem quite challenging as to what if you fail? You can take examples of people who changed their career and made it successful. You should also know that you may be changing your career more times in your life and this is just the first time. You need to be flexible and open to possibilities. You need to recognize your true calling based on kind of skills you enjoy and you are very good at, the environment where you would love to work and also the kind of people you want to work with. You may be compulsive when taking a decision to jump into your career change. This you should not do as this may turn out to be a disaster. When there is so much at stake like your settled job position, your financials and your social status then it is wise that you go gradually for your career change. You should work over time towards your new career. You can make changes in your current job, do a course in the evening, follow someone as your role model and learn new skills. Once you start doing it and you are looking for best jobs available in Delhi then you are going in right direction. Once you have done your preparatory steps well then you are ready to apply for a new job. But why would someone hire you in a changed career role? Well, you must show your worth. You have to walk the talk. You need to understand the keywords and language of the industry you are going into. Your CV has to be very crisp even though you might feel saying lot in your CV. You must show in your CV why and how you are well equipped for the job position which is different from your past experience. You need to show your research activities and skills learned to be eligible for the job. Networking is important in all circumstances. Now when you have decided to change your career line then it is very important that you network with people who are doing well in the industry you have chosen to go into. You can learn from them, ask questions from them and follow their work ethics and career growth. You can talk to them about how the industry works and what it takes to be successful in the recruitment process. When you are comfortable in your career at least in terms of professional, financial and social success then people may advise you that don’t take a risk. But you know that you are not happy with what you have and you are meant for something else. Now you have got to believe it first and take steps to make things happen else failure is not far away. For example turning into a photographer from a successful banker might seem impossible or simple madness to many. But if you believe it and start learning the craft and then take baby steps to it then nobody can stop you. Whether you are looking for best jobs available in Delhi when looking to change your career or anywhere in India or the world, above mentioned tips should work well for you. Hiring is not easy and it is not easy for startup at all. Startup is simply a young company with limited cash flow and lack of resources.A single wrong recruitment can cost the startup big time. A new recruit in a startup has to be the best one who can bring the performance of a rock start for the startup. Cost and effort put behind a few early hiring in a startup has to be well in place to bring the right talent on board. 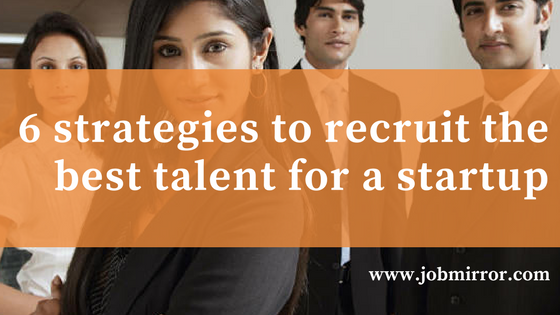 So, when you are looking to recruit the best talent for your startup then you must have a sound strategy behind this and for best recruitment services in India you can consult us. Here are 6 strategies to recruit the best talent for startup. Startup needs to recruit when it is absolutely time to recruit. New hiring is first an expense on which you expect the best return. So you must time the investment properly. As much as is important to fill key positions, equally important is to make sure your funds are being employed at the right time. This means startup must hire when the position that is being filled will bring more return than money invested on it and the startup cannot do without it anymore. This is required to recruit best talent. In a new startup a great talent can be engaged with the mission and vision of the company. If the company is moving ahead with great vision with which it can engage the new recruit then only it is possible to get the best talent. A startup cannot pay fat paychecks. So the strongest excitement you can create is possible only through a great mission and vision. It is not always possible to go traditional places of hiring because of time and cost restraint. You can explore deeper to get where the potential candidates are. You can present your job opening on selective job sites and on your own website. You can post your jobs on strong networking sites like LinkedIn and Facebook. Campus hiring can also be a good choice. You can also take services of select Recruitment services in India. You want to get the best talent for your startup. You cannot offer big paycheck. So, you must offer a compelling job to talents out there. Show them that you are presenting a great job and growth opportunities to the candidates. Offer them free working environment and those who love taking responsibilities would enjoy it if you offer them the right job profile where the learning can outperform other lucrative parts of a job. It cannot be a just a great promise to the talent. You must be really a great place to work else the recruited talent would take little time to leave your company. The focus and work culture must be friendly and growth oriented. Involve every employee in the day to day work which is quite possible as the team is short. It is proven that when people enjoy their jobs, co-workers, and environment they work harder, churn less, and add more value to your company. Great talents are not at a particular place. You also as a startup must promote your company, its work, vision, work culture and everything on as many platforms as possible. You can go to events, use select social media network, formal and informal network. Great talent follow great startups so when you are present strongly on these networks they might get attracted to your startup. Job search is not easy at all. At times it becomes frustrating. Securing a job does not happen just like that. It may take weeks and even months to secure a job. In this sense it is important that you know how you can improve your job search. If you are looking for jobs in India then Job search site in India can be very useful. And here are some ways applying which you can improve your job search. Nothing important can be achieved without a proper research. Same is true when you are looking for a job. You can improve your job search if you make a well thought out research. You should research about exploring different career possibilities and about the potential employers etc. If you have made out your job search based on a solid research then your work will be quite easy going further. Your resume is first point of contact between you and your potential employer. So, it is very essential that you send your updated resume to the hiring managers. Your resume should be on point containing relevant and up to date information. Before you apply for a job you should make sure that you list out all the information in resume in absolutely clear terms so that you get higher probability among piles of hundreds of applications. Generally, hiring managers start searching for talent from their own network first. This saves time and money for them and also gives them a chance to hire an appropriate candidate for their work profile. So, this becomes vital for job seekers also that they are active in knowing potential employers and being in touch with them. Apart from employers you should also be connected to your colleagues, friends and family members as they might know someone who is hiring in your field. These days social media is the best and widest network one can be on. Every professional is active on Facebook, Twitter, LinkedIn and other social media network. 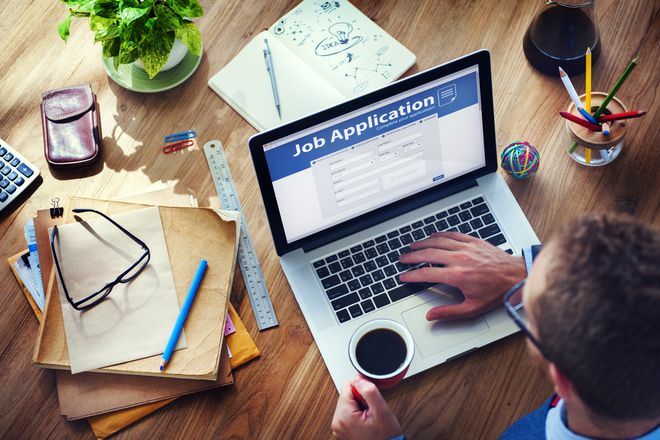 You as a job seeker should be active and connected to potential employers, your colleagues, friends, seniors and even others who can help you directly or indirectly in your job search or career growth. Social media network plays huge role apart from Job search sites in India in bringing employer and employee together. All other ways to improve your job search mentioned above are important but the traditional way of directly reaching an employer still remains very important. 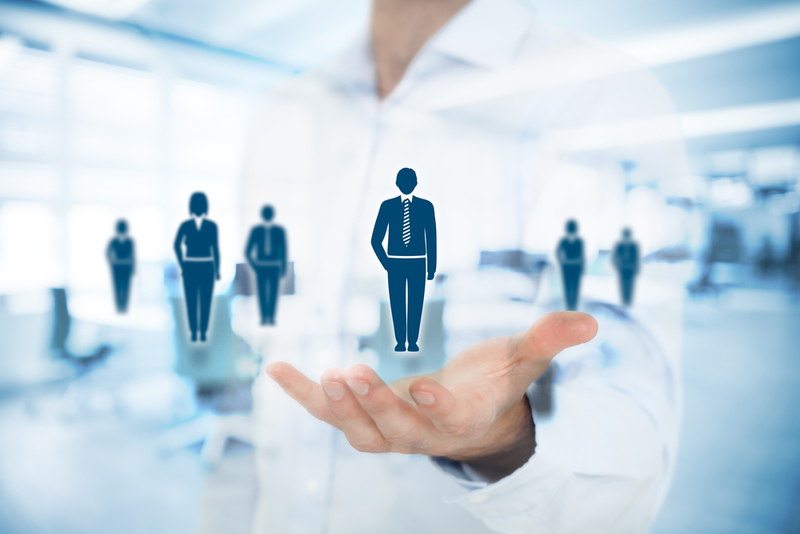 A good recruitment agency can help you find meaningful job in a rather quick time. The agency with huge experiences give you a platform where you just need to come in and apply and the professionals of the agency do the job search for you. They have more often than not access to jobs which are not visible to all and they also give you tips on interview and resume writings which make things easier for you. When you want to improve your job search you can apply these tips along with constantly searching for jobs on Job search site in India.